Walkers are useful pieces of equipment for any individual who may have mobility issues, such as balance problems and overall fatigue. Learning how to walk using a walker can have a bit of a learning curve, especially depending on the type of walker that you have, but overall they are much easier to use that canes over a long period of time. It is important to remember that a traditional walker is meant to provide stability and support while walking, meaning that it is crucial to ensure that your walker is stable and of a correct height at all times. Using the proper walker design for your is key to getting the most out of your walker in the long run. To walk with a regular walker, make sure the walker itself is firmly rooted on the ground before any movement happens. Stand in the center of the walker with your hands on either side, making sure you are well positioned before making any movements. Push your walker forwards, leading the movement with your weakest foot. Once the walker is firmly on the ground, move your strongest foot up to meet the first one. This method ensures that your weaker or less balanced foot is not carrying all the weight of your body at any given moment. Make sure that the walker does not move too far away from you during the initial steps. A good metric for where the walker should stop when moving forwards is to notice the area of your foot where your toes attach to your feet. This guideline is used to provide the best stability as you move forwards. Continue this method to get to any destination that you may have in mind. Walking with a normal walker is fairly simple once you fall into the habit of it, and can easily become second nature. Using a walker as a tool to aid movement is perfect for individuals of all ages and sizes who need a bit of extra balance, whether in getting around their house or while out and about, such as on grocery store trips. The benefits of using a basic walker, one without any wheels or other add-ons, is that they are the most commonly made and designed walkers available on the market. With options made in both youth and bariatric sizes, traditional walkers are truly one of the most versatile walking aids. Make sure to do your research on the various height adjustment options available for each walker, as most walkers are made to fit a wide range of patient heights and needs. 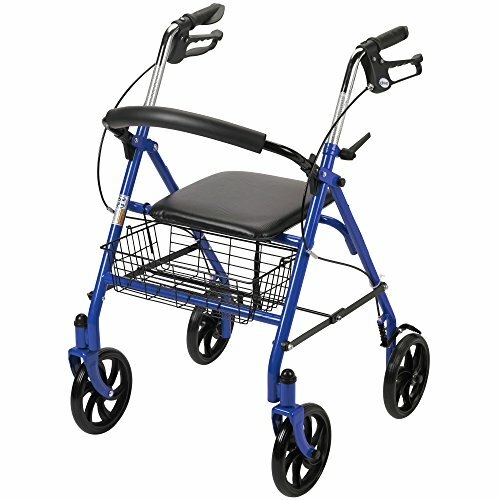 Looking for something other than a basic walker to help aid you or a loved one with limited mobility or balance issues? There are a wide range of different assistive technologies available to aid patients with getting from one place to another on foot. From wheeled walkers to canes, here are some of the more popular forms of walking devices available, and their uses. Keep in mind, before you start looking into purchasing an assistive walking device, make sure to consult with your physician to see which device they think is best for you. The primary types of assistive walking devices on the market fall into the category of either walkers or canes, with some interplay between the different designs. Walkers are defined as a form of assistive walking technology that requires two hands to use, and distributes the center of a balance across a box-shaped frame that allows the user to move forwards using the walker as an balancing aid. A cane is used with one hand, and is primarily meant to act as a support for one side of the body that may be weaker than the others, either due to surgery or some other physical issue. Across the various different kinds of walkers, the primary two distinctions are wheeled and not wheeled, and traditional upright and seated. Seated walkers act as a transitional seating area to help with transfers between different locations, while the traditional walker is primarily shaped like an empty three-quarter box to allow for ease of movement within the support area of the walker itself. Seated walkers are most often used for individuals who have difficulty lifting the walker in order to move it, and as such seated walkers often times have four wheels on the base to act as a forward movement assistance device instead of a stability device. While the traditional walker has no wheels, and functions with all four corner posts firmly on the ground, wheeled walkers feature two wheels on the front half of the walker for ease of forward movement. Wheeled walkers are most often used for outdoor situations and situations where the individual using the walker will have to move over varied, oftentimes rougher, surfaces. The downside of a wheeled walker is the lack of stability found in a traditional walker. While the wheels on any wheeled walker can be locked in place to add more stability as needed on surface that are more slick, such as tile and hardwood, they do not offer the same level of balance assistance as a traditional walker would. Another form of walker is a walker that has four wheels, one on each corner of the walker itself. These are known as rollator walkers, and are used in situations where the individual is looking for assistance moving forwards, as opposed to looking for a source of balance. Rollator walkers are often times paired with other features, such as a transfer seat or item basket, to allow the user a wider range of freedom when moving from one location to another. Rollator walkers are not necessarily used for individuals who are at a high risk of falling, and are most often used in outdoor scenarios where the presence of wheels allow for an ease of movement for the individual using the walker. Finally, a classic device for walking assistance is the cane. Canes come in a wide array of styles and shapes, and can have designs that mimic a walker by having a four-pronged end for better stability. 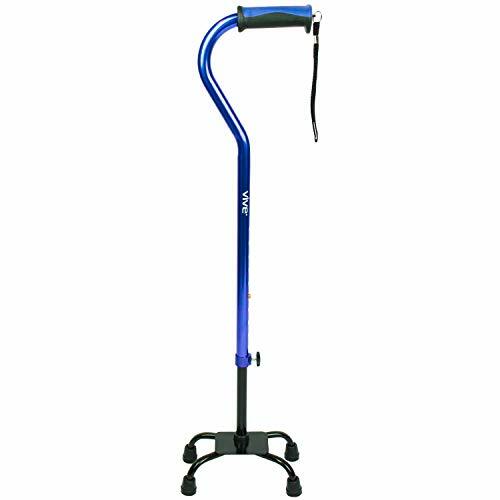 Canes are most useful in situations where the individual only needs partial support when walking, and can be used as both permanent and temporary walking aids. Unlike walking with a walker, learning how to walk with a cane can be a bit difficult, as it requires you to reprogram your brain to relearn the proper way to walk again. For individuals who are looking for overall support, a cane is not necessarily the ideal tool, as it can require more upper body strength and balance than some individuals have available. When it comes to choosing the right walking assistance device for you, there are a few things to keep in mind. The mobility of the individual, the upper body strength of the person using the walker, and the intended surface, are all important things to consider before investing in a walker. Here are some steps to consider before making your final walker choice. Out of all the walkers we have discussed so far, the original walker is the easiest to use and most flexible for the average individual. Made out of lightweight materials, the traditional walker is geared towards providing both balance and forwards movement to individuals who are looking for a reliable walking aid that can reduce the risk of falls and bring freedom back to their lives. 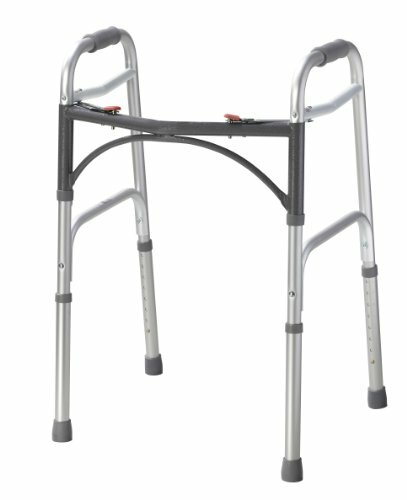 Traditional walkers are not ideal for situations that require movement over rough or uneven surfaces, and are most often used in indoor situations, such as stores, homes, and hospitals. A traditional walker is a great starting point to invest in before looking into other, more specialised walking devices, as the can act as a training device for learning how to properly walk with a walker. Wheeled walkers are a good inbetween walker for both home and outdoor situations. They provide support and stability using the back two support poles, while reducing the amount of weight that must be lifted to move forwards using the front two wheels. Wheeled walkers are ideal for individuals with limited upper body strength, as they take some of the lifting out of walking with a walker. Most wheeled walkers are geared towards being an inbetween support device, and as such the front wheels do not swivel or move from side to side, to make sure to provide the most stability possible for the person using the walker. A good wheeled walker will allow the individual to lock the front wheels for situations where they need some added stability, making it perfect for use indoors and out. Rollator walkers are useful for people who travel from one kind of location to another, such as indoor/outdoor movement, and are also useful in situations where lifting and moving a walker may be too much strain for the person using the walker. Rollator walkers can also come equipped with other mobility aids, making them a good investment for someone who is looking to use their walker in a wide range of situations and locations. While a bit more costly than the traditional walker, rollator walkers offer the widest range of movement freedom for people who are looking for assistance moving, without necessarily needing the stability that comes from a traditional walker. 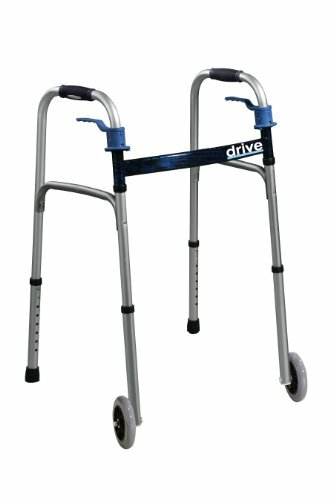 When looking for a walker for you or your loved one, keep in mind the various uses of the different kinds of walkers, as well as the unique needs of the individual looking for a walker. A good walker can help increase mobility and bring confidence and autonomy to individuals who are looking to put their best foot forward.